The osteria La Terrazza is located in the central square of Greve in Chianti, the heart of the village life, where local markets and fairs are held regularly. 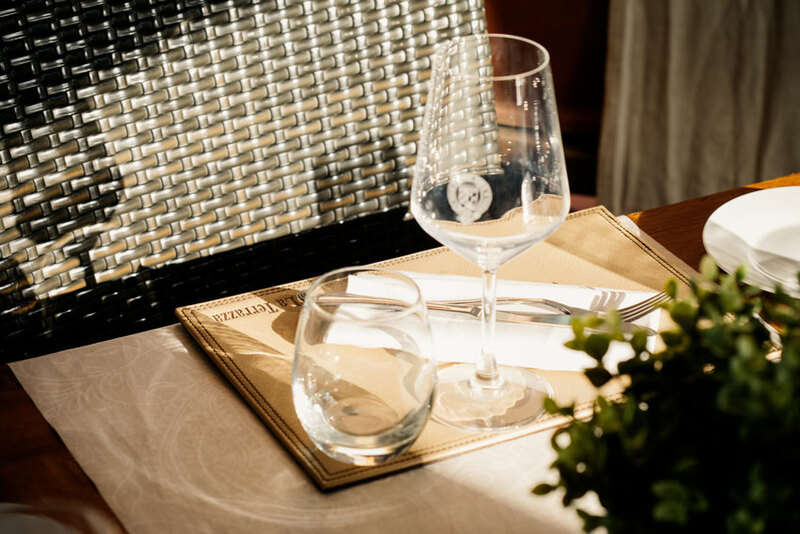 Sitting at the osteria’s tables you will enjoy the tranquility of a relaxing and hidden away place, though immersed in the vibrancy of the square with its shops, passerbys and tourists from all over the world. You will feel as if you were living in a postcard, where the architecture of the old buildings and flowery balconies, frame the smells and fragrances coming from the kitchens. The osteria La Terrazza is located 10 minutes on foot from the Country House Terre di Baccio. Guests staying at the farm can reach the osteria by taking a short path that runs through the vineyards (accessible and lit in the evening). In every season sunrays caress the tavern’s tables, transforming the terrace into an outdoor living room, airy in summer, warm and bright in the winter. The table setting, service, furnishings and work of our waiters are designed to accompany your dining pleasure in every detail. We will be happy to recommend the dishes that best suit your taste and your expectations, as well as to offer you a selection of our wines and the best type of oil to enhance your dish. 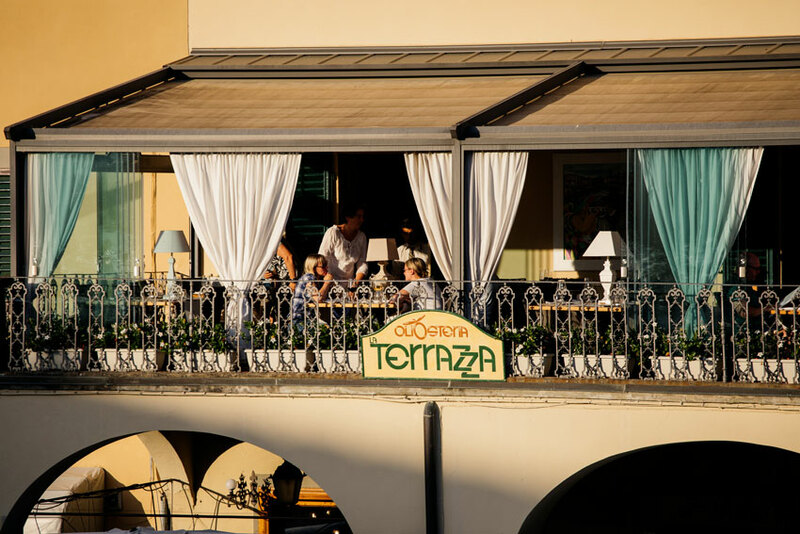 The Terrazza is also an Oliosteria, boasting a list of over 20 extra virgin olive oils with different provenances and characteristics while all sharing the same common denominator of quality and purity. 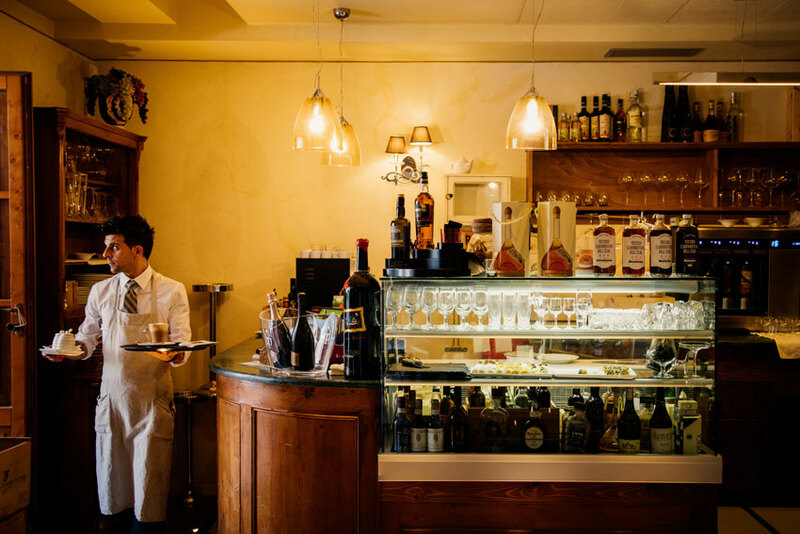 The osteria La Terrazza is open from 11am to 11pm, every day (except on Tuesdays). At any time, even outside lunch and dinner hours, you will find something good to taste. Sandwiches prepared freshly for you, chianina hamburgers, cured meets and cheeses, appetizers and morsels from land and sea. 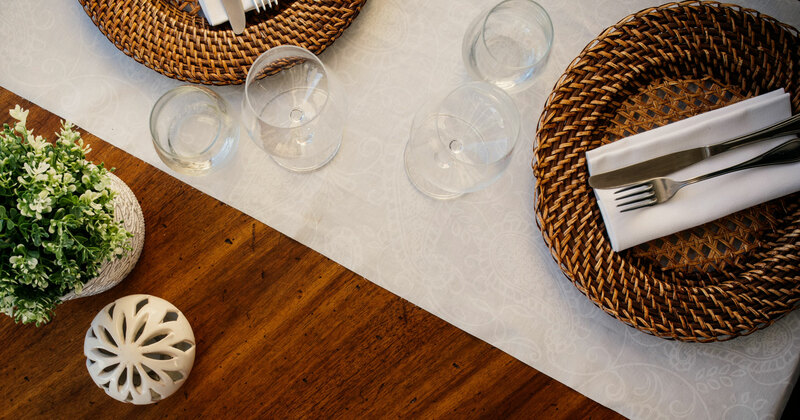 The osteria La Terrazza organizes, upon request, private wine and oil tastings for groups up to 40 people.